It excites me being able to share my knowledge, leaving a mark on students creative journey. My goal is to inspire people through teaching and get inspired by them. 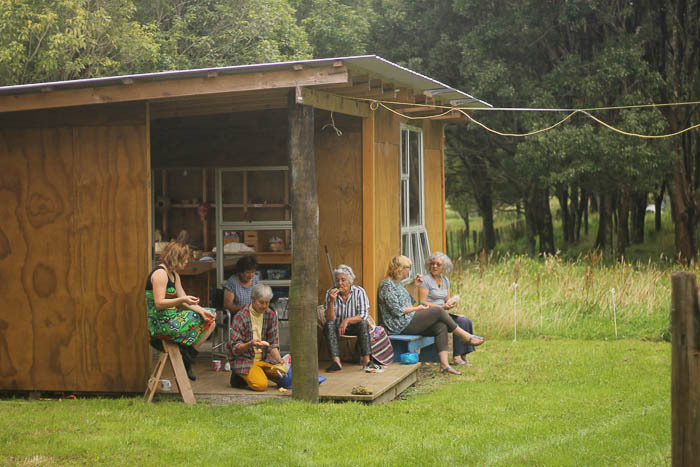 Currently I am offering workshops in shibori, natural dyeing (including eco printing) and flax weaving. Teaching small groups (6 people max) ensures an optimal output for each student. 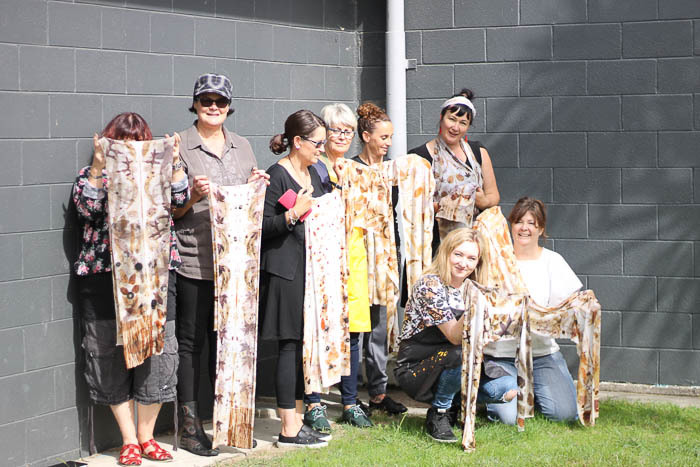 My workshops are a fun way to learn, enfolding students creativity, meeting like minded people in a friendly and relaxed environment. 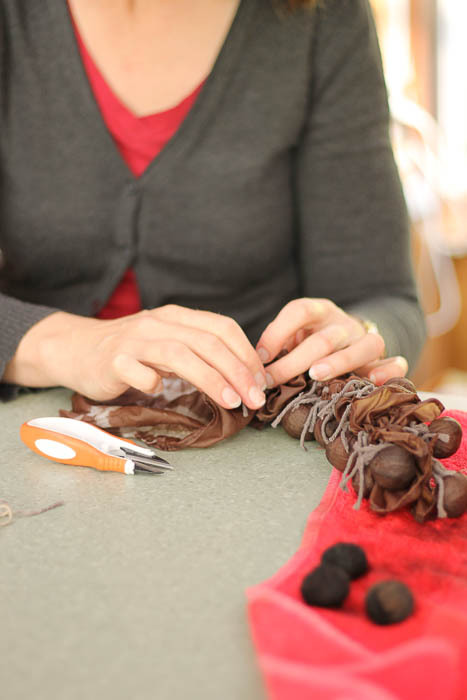 Please in for my seasonal newsletter to receive information about workshops and other events here. 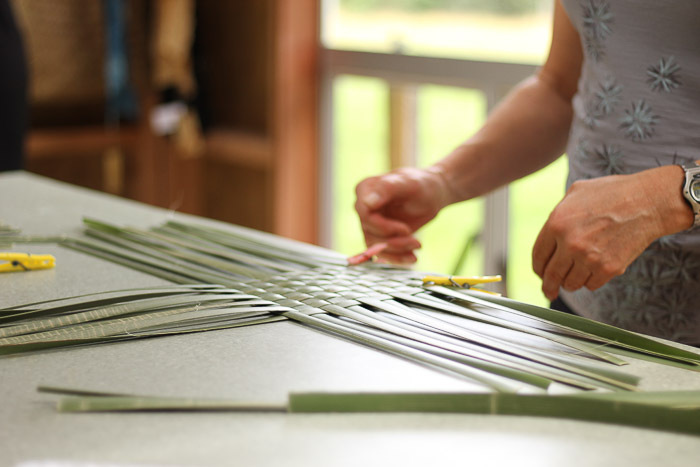 Learning the foundations of traditional flax weaving, students will gain a better understanding how Māori culture, protocol (tikanga) and weaving (raranga) are intertwined. They will learn basic techniques to complete baskets (kono and konae) mats and flowers. 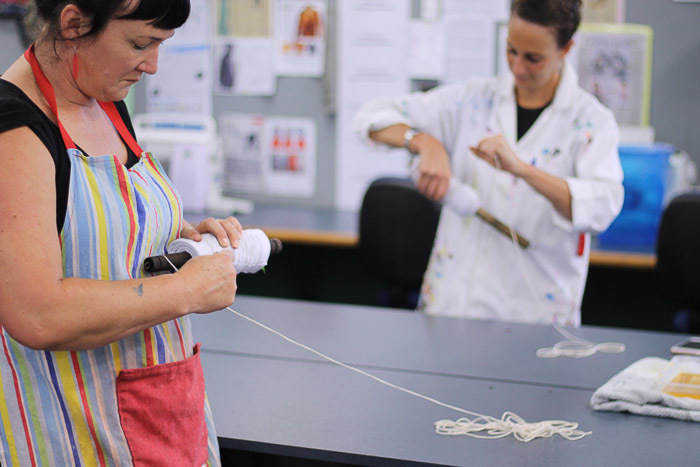 More advanced workshops include storage, dyeing and weaving kete(bags). I am teaching a combination of the ancient Japanese art of shibori (resist dyeing) with natural dyes. 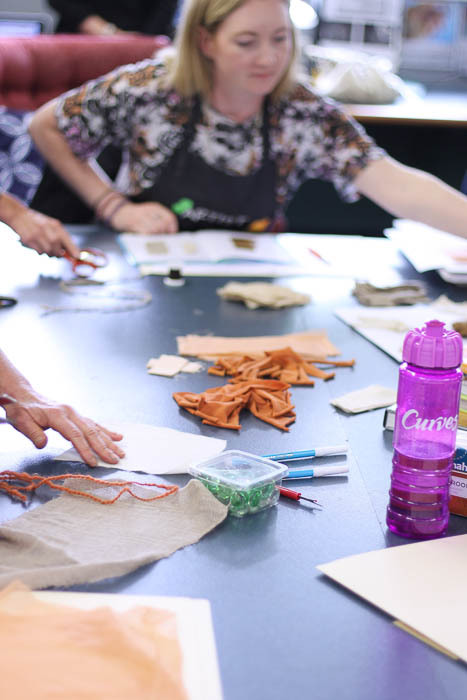 Students learn how to make natural dye from leaves and barks, testing a variety of fabrics and applying this knowledge to create their own fabrics, using some traditional and modern shibori techniques. 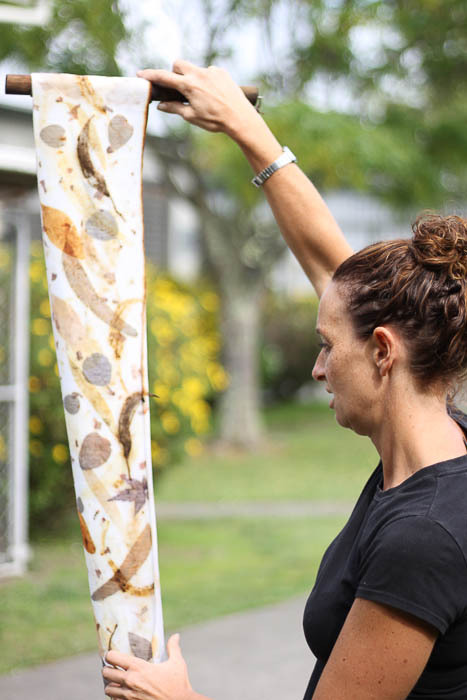 I am teaching the bundle process, a direct contact method to make prints by drawing out pigments from plant material onto fabrics with the help of moisture and time. Students will learn about plants, fabrics, equipment and bundle techniques. 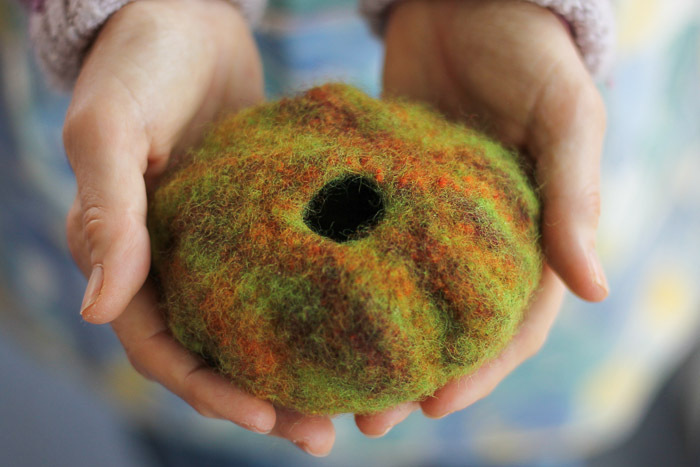 Felt workshops encompass the basics steps of making felt, different wet felting techniques such as nuno felting and three dimensional felting using resists.